The Doctor of Nursing Practice (DNP) Program is a practice-focused doctoral program for Nurse Practitioners, Nurse Midwives, and Nurse Executives holding a master’s degree or higher. This program consists of web-mediated courses that provide opportunities for on and off campus learning. The curriculum builds upon the scientific, management, and leadership knowledge and skills gained during the Master of Science in Nursing educational program, as well as the professional practice experience gained as a practicing advanced practice nurse. 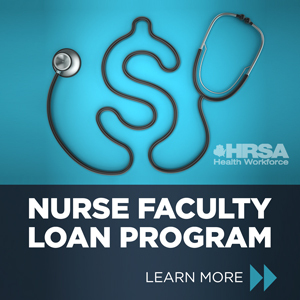 It provides learning experiences for the advanced practice nurse to acquire advanced practice, organizational, financial, and leadership knowledge to design and implement programs of care delivery, which significantly impact health care outcomes. Synthesize, integrate and apply nursing science with knowledge from the arts and sciences, and clinical expertise to delivery of nursing and health care services to diverse populations. Assume leadership roles in the evaluation, design, organization, and improvement of health care delivery. Discover, integrate, connect, disseminate and translate research across disciplines to reduce risk, promote safety, and enhance quality in clinical practice. Use technology resources and demonstrate information and data literacy to manage complex heath care decisions and advance quality of care. Employ effective communication and interdisciplinary collaboration skills to solve complex problems, facilitate change, an promote improved quality of care in organizations. Engage in safe, effective, and efficient advanced nursing practice within a defined specialization. Why pursue a Post Graduate DNP? The purpose of the program is to foster the development of a community of expert advanced practice nurses who will transform practice and improve health care outcomes through the application of nursing knowledge. Expert Advanced Practice Nurses who are able to provide healthcare services to increasingly complex patients by integrating multiple knowledge bases and methods to develop comprehensive high level advanced practice nursing care. Leaders who will improve the quality and safety of care, patient outcomes, and health policies that impact the health of society. Scholar-Practitioners who are rooted in the critical appraisal and application of evidence-based methods in clinical practice. What is a DNP Scholarly Project? The DNP project enables the further development of practice expertise and practice inquiry. With the goal of deepening knowledge base and the promotion of translation of evidence to practice, the DNP Scholarly Project is individualized to each student. The projects are designed to give the student the opportunity to develop expertise in practice change, quality improvement, policy change, scholarly inquiry, research utilization, and clinical application. The intent to develop sustainable practice changes to improve population health outcomes, leadership, quality improvement strategies, team-building are some of a DNP Project expected outcomes. What do the clinical hours look like? There is 1000 clinical post baccalaureate hours required for the DNP. In the Post Master’s DNP program the hours you have completed during your Masters of Science Nursing program serve as a part of the 1000 hours. Each student will be individually evaluated based on his/her own transcripts. Clinical hours are carried out with practice partners who contribute expertise for the DNP in practice based settings such as clinics, offices, healthcare organizations, facility leadership, and systems settings. If you have questions about our Doctoral Nursing Programs please complete short this form and we will be happy to assist you.